Stuart is a well-known guitar teacher in Ealing. He’s taught hundreds of guitarists of all levels, covering everything from rock and pop to jazz and classical. Students are provided with an immense amount of high-quality teaching material, written by Stuart. His students take away well-defined tasks, goals and explanations; quickly building up a comprehensive body of work to practise. “Over the years I’ve experienced excellent guitar tuition; but also some poor teaching. “I’ve never stopped studying and analysing music and technique, but to me, it’s just as important to optimise my guitar tuition skills. Stuart’s musical journey began as a self-taught guitarist. Through hundreds of hours of listening and learning from guitar greats, Stuart secured a place at a prestigious London guitar academy. Whilst still a student, Stuart began his teaching career in Ealing, west London. He quickly found success teaching one-to-one guitar lessons. During this period Stuart began to write many hundreds of exercises and challenges that would be the foundation for his highly prepared and structured lessons today. Alongside his teaching work, Stuart became a professional guitarist, working for bands and artists, giving hundreds of live performances across the UK. Stuart was asked to teach at the Academy of Music and Sound in 2002, when he also took the position of Course Leader. After three years teaching National Diploma in popular music performance, he returned to focussing on one-to-one tuition and live performance. 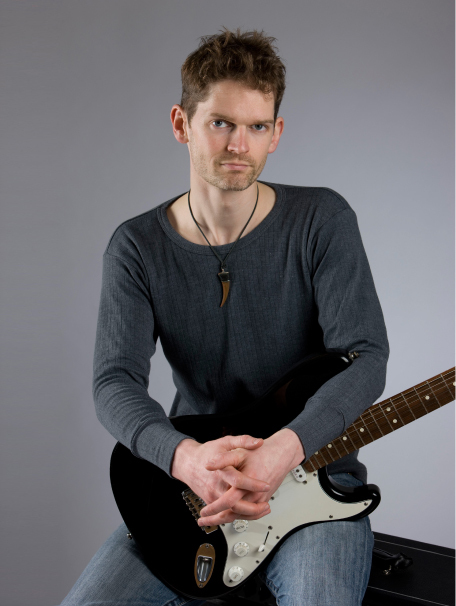 Stuart now teaches one-to-one guitar lessons full-time at his home in Ealing, west London. He has created several educational apps for aspiring musicians and the Be A Guitar Teacher course to help guitarists build careers as guitar teachers. He continues to perform live all over the UK, and runs the very successful professional band Azure. Stuart Bahn - Guitar tuition, Ealing, west London. Whether you’re a beginner or an advanced player, Stuart’s guitar lessons will provide you with direction, focus and motivation.